Mass Tourism was arguably the most significant travel trend of 2017. 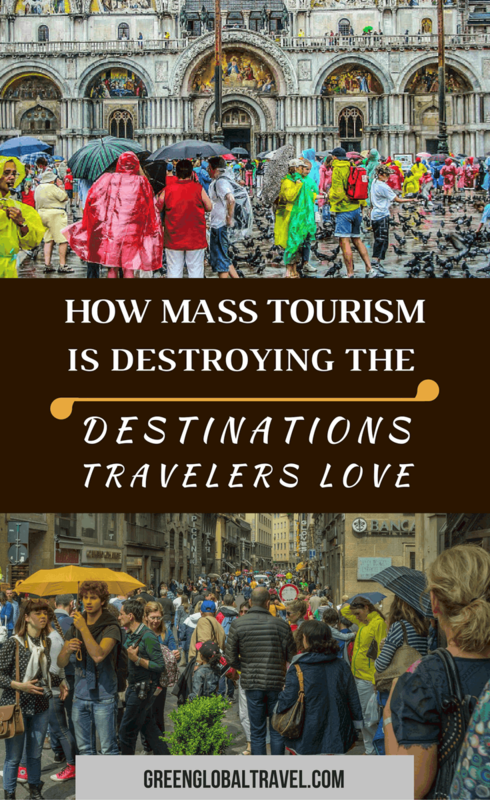 Its downside, “overtourism”– the point at which the needs of tourism become unsustainable for a given destination– made headlines all across the world. “Overtourism plagues great destinations,” claimed sustainable travel expert Jonathan Tourtellot in National Geographic. “Mass Tourism is at a tipping point- but we’re all part of the problem,” wrote Martin Kettle in The Guardian. In an Associated Press piece on “The Curse of Overtourism,” Pan Pylas examined how European destinations such as Barcelona, Dubrovnik, and Venice are struggling to deal with the negative impacts of tourism. Here, we’ll examine what mass tourism is, why it’s so popular, and how it is negatively impacting local communities in some of the world’s most beloved travel destinations. In modern times, the phrase often refers to budget-friendly package tours, cheap flights, all-inclusive resorts, and cruises. In general, it allows vast numbers of travelers to descend on a given destination in a relatively short time, usually during peak season. On the positive side, this extreme influx of tourists can help to generate jobs, stimulate the economy, and develop much-needed infrastructure. On the downside, many of these jobs are not given to locals, much of the revenue is kept by outside investors, and the overwhelming tourist crowds often keep locals from being able to enjoy the infrastructure benefits. It is inarguably the most popular form of tourism. But most responsible travel experts consider it a shallow, exploitative, and unsustainable form of travel, consuming huge amounts of resources while giving little back to the local community. 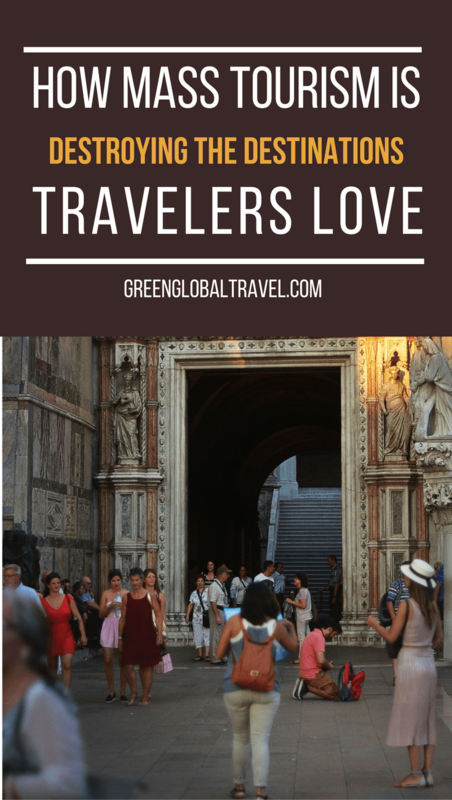 To understand why, let’s take a look at how overtourism is affecting 30+ different destinations all around the world. The Cairo area is home to some of the oldest, most impressive tourist attractions in the world, from King Tut’s famous burial mask at the Egyptian Museum to the great Pyramids of Giza. But instead of being a welcoming city that invites travelers to explore the culture and wonder of this ancient capital, mass tourism has largely taken over Cairo and Giza. As a result, these relatively small sites have been inundated with hordes of camera-wielding tour groups stopping by on day trips from their resorts in Sharm El Sheik. When I visited Cairo a few years ago, dozens of air-conditioned tour buses swarmed around the Giza plateau, the museum, and tourist hotspots like Khan El Khalili every single day. They congested the roads around these attractions even more than usual, attracting exploitative cottage industries such as touts, papyrus factory tours, and unethical camel rides. The result has created a massive work and monetary imbalance in the city. 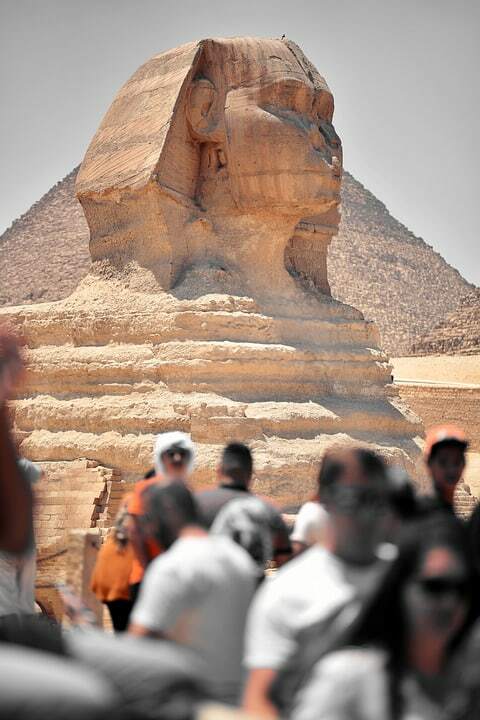 More recently, the tourism industry in and around Cairo has suffered a massive blow. Overblown safety warnings and fears have caused the local economy to crash. As Egyptian tourism starts to recover, Cairo and Giza should take a step back and learn from their past mistakes. Just 10 years ago Marrakech was a city of around 500,000 people. Today that number sits above 1.2 million. In 2008, less than 3 million tourists visited the entire country of Morocco. Last year that number was nearly 11 million, and a vast majority of them traveled to/through Marrakech. This huge surge in the numbers of tourists and residents has done two things to my home city. First, it’s brought many jobs and much-needed income. Second, it’s put a strain on resources and infrastructure in a way that has proven difficult to manage. 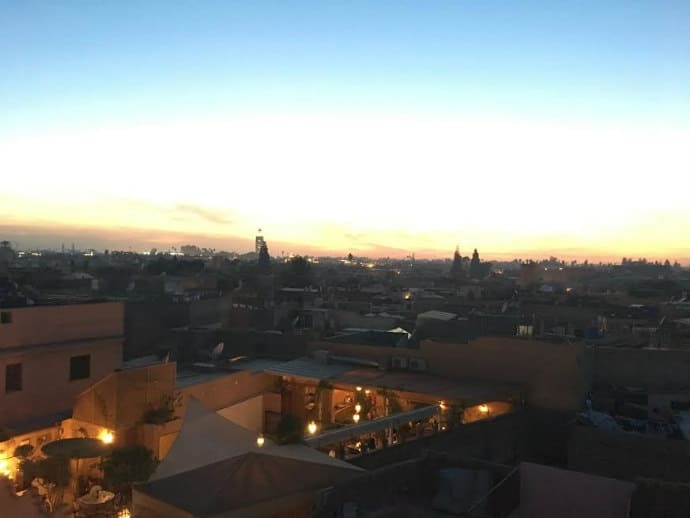 Many longtime Marrakech residents felt an initial benefit from this influx of tourism when they were able to sell their properties and get work. But today the cost of basic goods, rents, and more rises while salaries remain relatively stagnant. Tourists expect Marrakech to be a cheap destination, thanks to the subsidized low-cost carriers that fly into the city daily. This has a trickle-down effect on the economy. People need to earn more money now than they did a few years ago to maintain even a basic standard of life. A walk through the medina today is met by hundreds, if not thousands of tourists. It’s very difficult now to experience what traditional life is like in Marrakech, primarily because residents are increasingly outnumbered by tourists. Mauritius is a beautiful island in the Indian Ocean, 1,200 miles off the southeast coast of Africa. There, misty clouds linger around the top of forested mountains. Tropical temperatures allow lazy days at white sandy beaches, or snorkeling in turquoise lagoons amongst colorful fish and corals. We stayed in Mauritius for more than a month and liked it. But the negative impacts of tourism on the island are readily apparent. 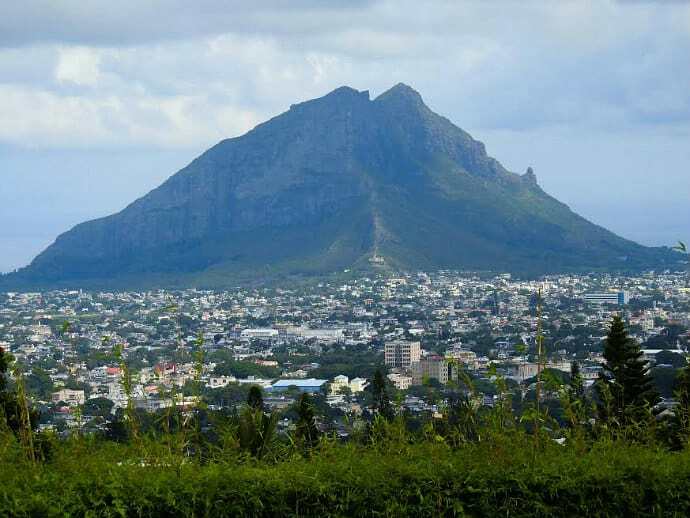 With around 1.3 million residents in 790 square miles, Mauritius is among the countries with the highest population density in the world. More than one million tourists visit Mauritius every year. Driving across the island, it feels like one massive, congested town, with the exception of a few sugarcane fields and coastal areas dominated by luxury resorts. Outside of southern Mauritius, where the last pocket of extended forest remains in the Black Forest National Park, very little natural habitat is left for local wildlife. Unfortunately, this is one of the island’s most heavily promoted regions for day trips, with busloads of tourists visiting every day. Cape Town has emerged as one on southern Africa’s favorite holiday hotspots. Despite its current problems with drought and crime, the city is still magnificent if you love the beach, ecotourism (including penguins! ), food, and wine. 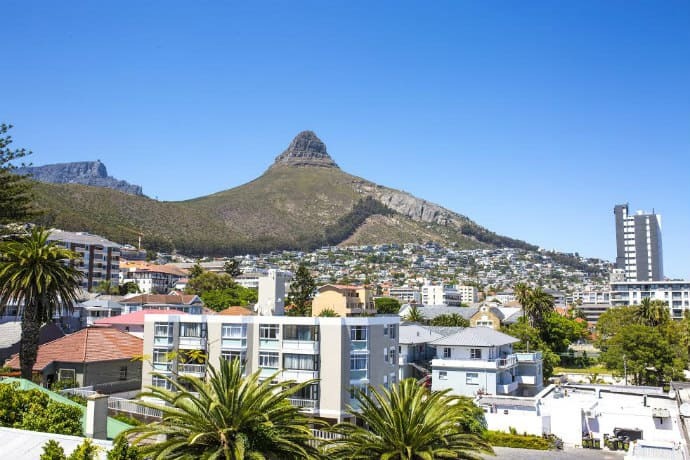 One of the major downfalls of overtourism in Cape Town is the pricing increase for property, which is creating a greater divide between rich and poor. Tourists arrive, instantly fall in love with the city, and realize property is relatively cheap. So they decide to purchase a house or apartment, which drives up prices and makes it almost impossible for locals to afford homes. Even worse are the overseas investors who buy a property just to rent it out on Airbnb. Close your eyes and think of India. If anything resembling a white marble onion dome comes to mind, you’re not alone. The Taj Mahal, a UNESCO World Heritage Site, is the veritable symbol of India, and on many people’s bucket lists. When visitors make the journey to Agra (home of the Taj Mahal) three things stand out. One, the sublime beauty of the world’s most perfect building. It is truly spectacular, and rarely disappoints. Two, the overwhelming crowds. The Taj Mahal attracts 7 to 8 million people per year. Unless you arrive by 6 am, just before it opens, you’ll be met with hordes of people. Three, the degradation and disorder of Agra. You’d think the city that houses one of the world’s top tourist attractions would benefit from the influx of tourism revenue. But nothing could be further from the truth. 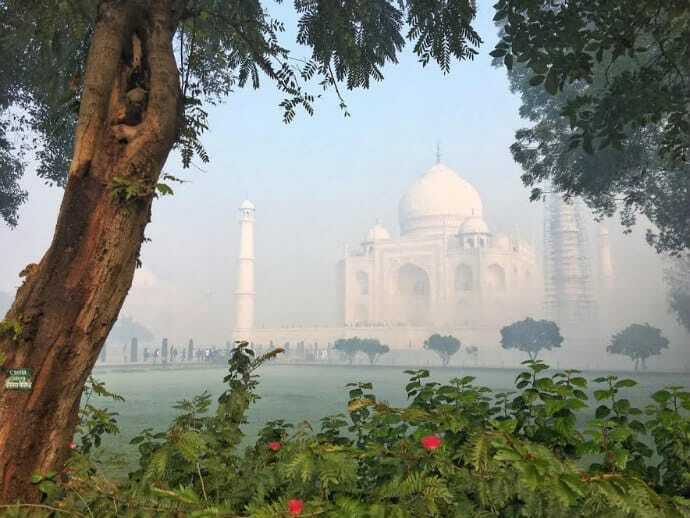 Aside from the stringent management and upkeep of the Taj Mahal itself— which includes a pollution-free perimeter zone and a regular mudpack to clean the surface — there are almost no other signs of civic improvement in Agra. The Taj Mahal is worth seeing, no question. But there’s no denying that it is falling victim to pollution. Although mainstream tourism is relatively new in Myanmar, Bagan’s famous Valley of Temples is already suffering growing pains. Over 4,000 pagodas once stood here, but that number has been reduced by half over time by earthquakes, natural erosion, and disrespectful travelers. 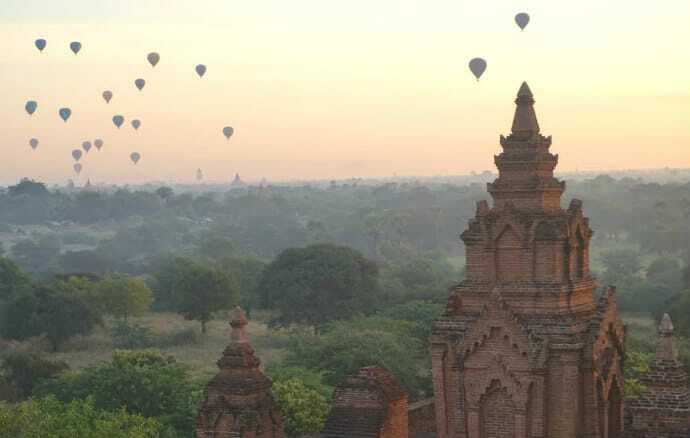 One of the most common activities in Bagan is to climb the pagodas at sunrise to watch the hot air balloons glide across the sky, and again in the evening to see the sunset. The experience is extraordinary… if you can find a secluded, secure temple. However, the majority of tourists flock to the five most popular pagodas, where climbing is allowed. The problem is that some disrespectful tourists aren’t satisfied with the views from the platform area. So they climb up the ancient brick formations to the tip of the pagodas, which often crumble. It’s an insult to the historic importance of the site. Several travelers have lost their lives after plummeting from the top. Bali used to be a peaceful place where travelers would go to escape the stress of their everyday life. They could enjoy lush nature, bask in the sun on beautifully pristine beaches, and surf some killer waves. Most visitors would spend their time immersing themselves in the ancient traditions and rituals of the local people. This aspect of Bali is so distant now, it takes a great deal of effort to discover it. Nowadays Bali is mayhem. Due to uncontrolled development, the land that nature ruled has been filled with large chain hotels and shopping malls. Depansar, Bali’s capital, is completely congested with traffic and pollution. What used to be a tropical paradise is being ruined by overtourism. Most of the beaches are incredibly crowded. 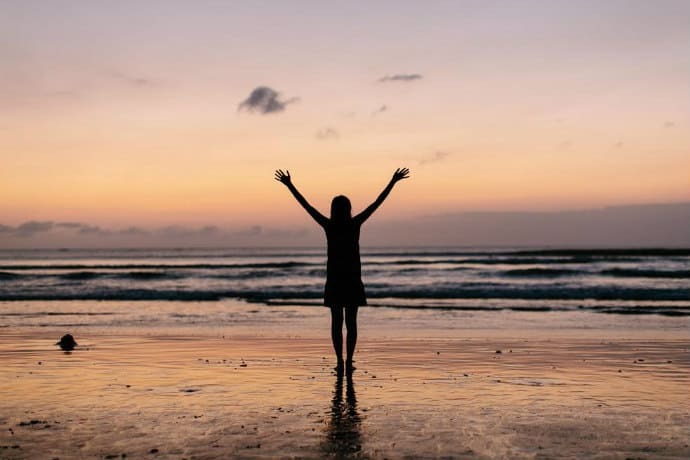 The lack of proper garbage disposal and recycling initiatives means that places such as Kuta Beach are enormous dumps where rats party day and night. In order to accommodate the needs of mass tourism, development is slowly but steadily pushing its way through the rest of the island, too. In 2016 Palawan was named the world’s most beautiful island by Condé Nast Traveler. Known as a haven for adventurers looking to experience untouched nature, quiet turquoise waters, and respite from hordes of sun seekers, this promising ecotourism destination has exploded in popularity. 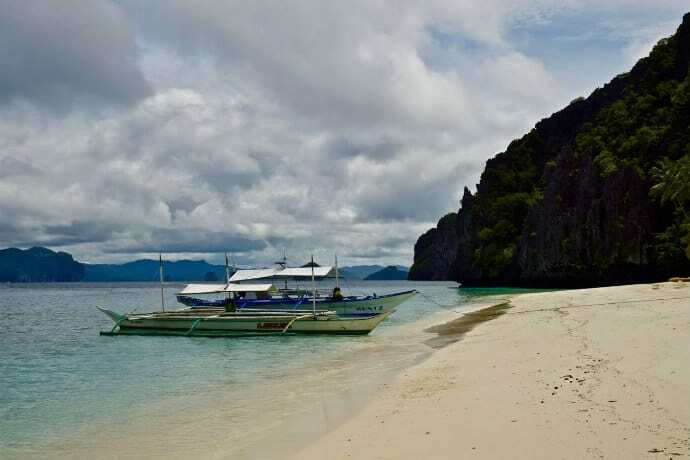 Unfortunately El Nido (once a sleepy fishing village) has been bearing the brunt of it, attracting over 200,000 visitors to an area with a population of 36,000. The problems caused by overtourism here are many. There’s rampant tourism development all over town. There’s not enough local food to feed all the visiting mouths, a problem exacerbated by the mass conversion of farmland into resort construction sites. There’s no waste water management system, meaning sewage from these newly constructed hotels goes straight into that turquoise ocean. Island-hopping is the main attraction in El Nido’s archipelago, and every travel agency in town basically sells the same day tour. So idyllic lagoons became swamped with beer-swilling sunbathers. Thankfully, 2017 saw the introduction of daily visitor caps to three of the main hotspots. But as long as overall visitor numbers remain unmanaged, tour operators will simply shift crowds to other islands. 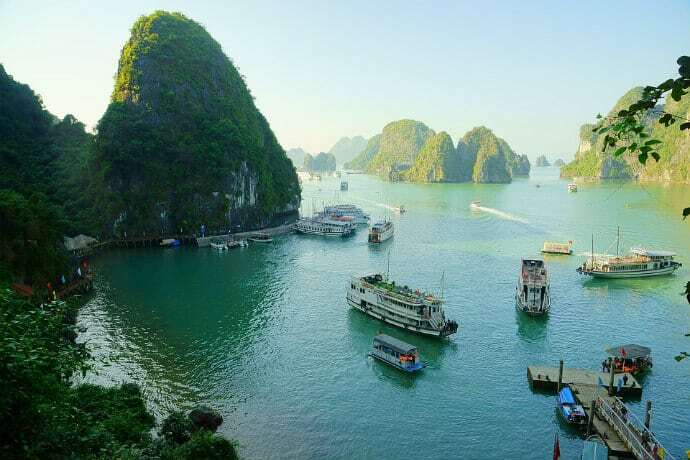 As a UNESCO World Heritage Site, Halong Bay is easily the most famous site in Vietnam. It’s also the most visited, with nearly three million tourists cruising its waters every year. Hundreds of junk boats ply its water each day, against the natural backdrop of dark green rock formations shrouded in mist. Sadly, overtourism in Halong Bay has resulted in both environmental issues and fatal accidents. The influx of visitors coupled with a lack of safety regulations has created a market saturated with irresponsible tour operators who are more concerned with profits than environmental and safety issues. In 2011, a boat sank there, killing 12 tourists. According to several comments from travelers on Lonely Planet, this isn’t an isolated incident. We cruised Halong Bay on a mid-range overnight boat trip and it opened my eyes to what poorly managed tourism can do to a place. The beauty of the poetic landscapes is undeniable, but the sheer amount of environmental destruction is enough to put off any traveler with a conscience. If you love to travel, you’ve most likely seen The Beach, the 2000 movie starring Leonardo DiCaprio. 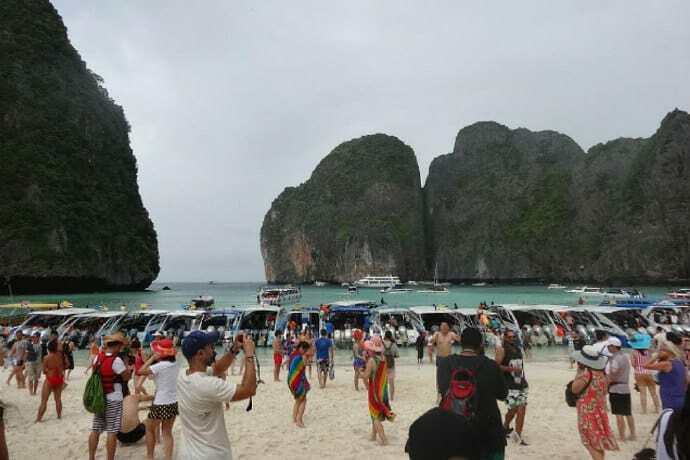 Millions of people saw it, and it seems like most of them ended up traveling to Maya Bay Beach on Koh Phi Phi, where most of the film was shot. Sadly, the place is a paradise no more, thanks to seemingly endless hordes of tourists. If you visit during the middle of the day, you’ll mostly see it packed with long-tail boats and people. 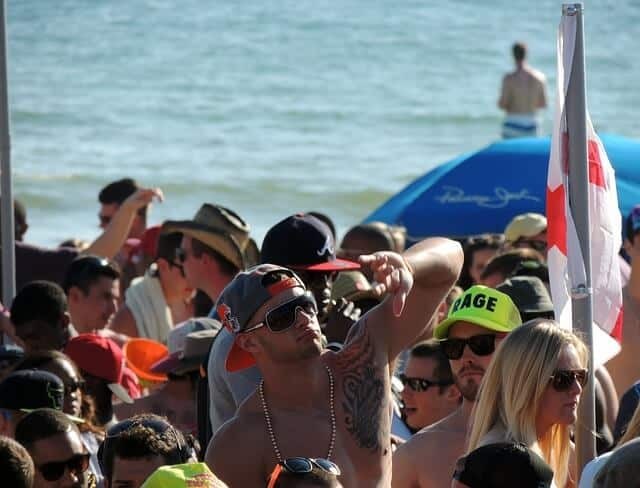 Many are rowdy and obnoxiously drunk, leaving a trail of litter in their wake. The only way to see the real beauty of Maya Bay is to find a boat that will bring you there early in the morning, or around sunset. When we got to Malaysia, my partner Karen couldn’t wait to show me the Perhentian Islands. Having been there previously on a diving trip, she raved about these tropical paradise islands, with their white sand beaches and crystal clear waters. Unfortunately, what we found once we arrived was more like Paradise Lost. Every day we would notice these weird brown patches floating in the ocean. To this day I’m scared to think what they were. All I know is that everyone avoided them. What was once an occasional speedboat taxi had now turned into a sea full of them. To make matters worse, they were driven by teens racing each other, making what should have been a leisurely swim into a worrisome nightmare. One day we even had a helicopter land right on the beach, unannounced! 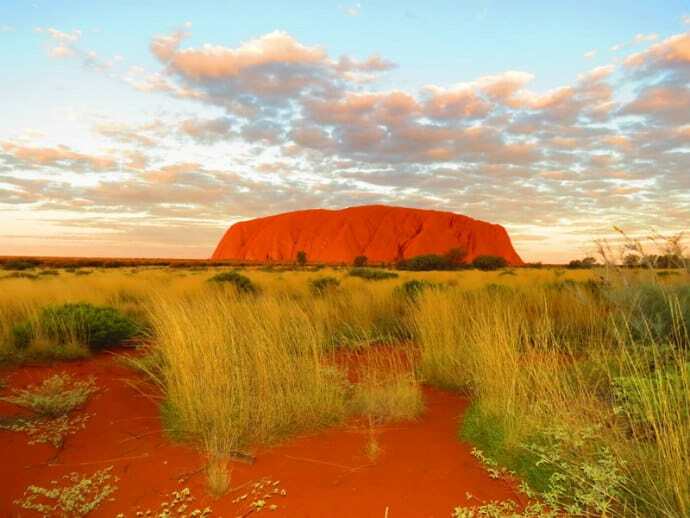 Australia’s most iconic natural attraction, Uluru (or Ayers Rock) is a symbol of the Outback that attracts more than 300,000 visitors every year. Believed to be millions of years old, this beautiful red rock juts imposingly out of the sand in the middle of the Australian desert. Looming large at 1,142 feet, Uluru is considered a sacred site by the Indigenous Anangu people, the traditional owners of the land, and holds UNSECO World Heritage status for its ancient rock paintings. But mass tourism has caused numerous issues, provoking long-standing debates over whether or not tourists should be allowed to climb it. Much of the controversy centers around respecting the Aboriginal community’s repeated requests that visitors not climb their sacred site. Tourists have been defecating, urinating, leaving trash, and vandalizing the rock face at the top of Uluru for years. Visitors have also been chipping off stones and defacing culturally significant engravings with name carvings of their own. As a result, a recent decision by local authorities will make Uluru off limits to climbers starting in October 2019. Colombia is a country whose reputation has been unfairly plagued by its past. In recent years, as the political and criminal situation calmed down considerably, new airline routes have opened up. As a result, Colombia is now bringing in quite a bit of tourism, attracting over 2.5 million visitors in 2016. 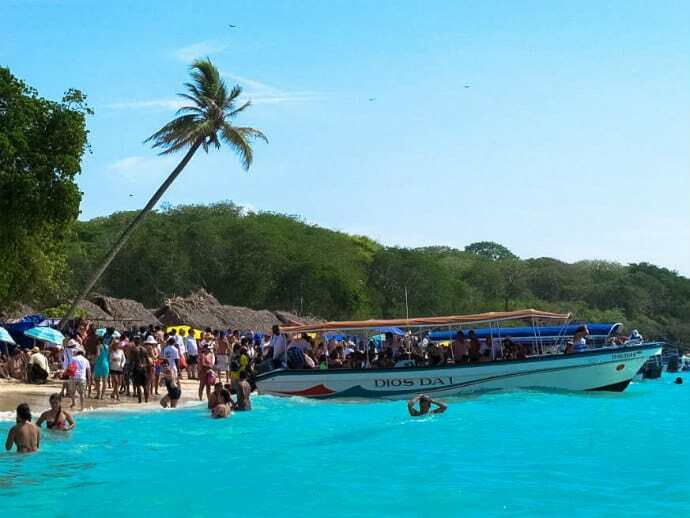 Cartagena, Colombia’s Caribbean tourism capital, attracts around 14% of those travelers. And while the city doesn’t seem overrun by visitors, the desire to cater to them has led to the gentrification of Getsemaní. Development of this ultra-hip neighborhood is largely being funded by international companies, who seem hell-bent on tourism profits regardless of the impact on the locals who live there. Some of the more popular local beaches are so swamped with tourists, they’re too expensive for locals to get out to them. The tourism boom in Cartagena has also led to a staggering problem wherein young local girls are forced into prostitution to cater to foreigners. Easter Island is best known for the mysterious Moai, gigantic stone statues created by the ancient Rapa Nui civilization. The Rapa Nui people carved the statues (some nearly 30 feet tall and weighing 80 tons), transported them to different sites, and erected them on ceremonial platforms. 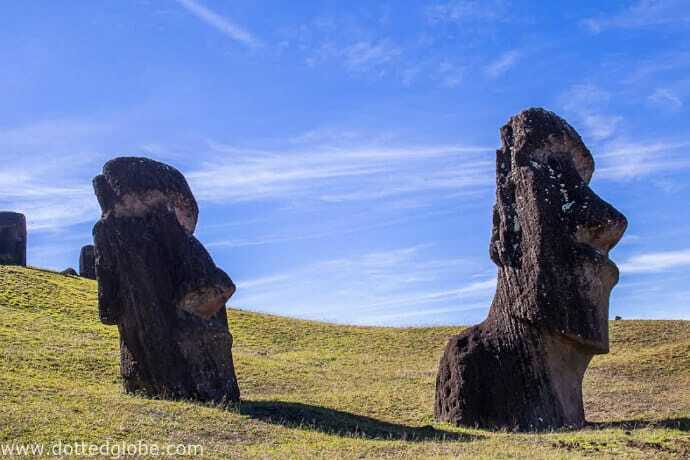 No one knows their purpose, but the 887 Moai are the tiny island’s main attraction. Unfortunately, the sheer number of tourists (around 100,000 annually) are changing the nature of tourism on Easter Island. The Moai are very fragile, and tourists who touch the statues cause irreversible damage. Two important archaeological sites were closed to tourists in recent years due to deterioration. Easter Island once collapsed under a population of 10,000. Now the island’s infrastructure and resources are being stressed by the growing surge of visitors. Available landfill area for non-recyclable waste is extremely limited. One special destination that’s sadly suffering from overtourism is Machu Picchu, and the increasingly popular Inca Trail that leads to it. 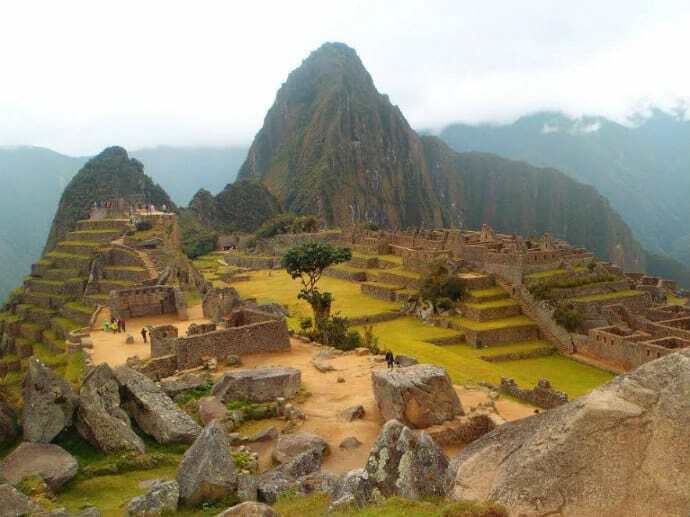 Strict caps on visitors were put in place by the Peruvian government a few years back– 500 permits per day for the Inca Trail and 2500 per day for Machu Picchu. Yet still the famed site often sees double that number of visitors. This is obvious in terms of countless irresponsible travelers ruining the natural beauty and mystical appeal with their ubiquitous selfie sticks. But what’s even worse is the area’s sanitation issues. There’s toilet paper lining the hiking trails, squat toilets overflowing, and now the preservation of this precious site seems to be in danger. There is good news: In the summer of 2017, the Peruvian government passed a new restriction for Machu Picchu visitors, requiring they enter with an official tour guide in groups of 16 or less. Additionally, entry grants only a morning visit or an afternoon visit. So if if you want to spend the entire day, you’ll need to pay twice. While inside, visitors will need to stay on marked paths. It’s difficult to imagine how an area sprawling 4,085 square miles could ever feel crowded. But that’s just what’s happening at Salar de Uyuni, Bolivia’s famous salt pan. 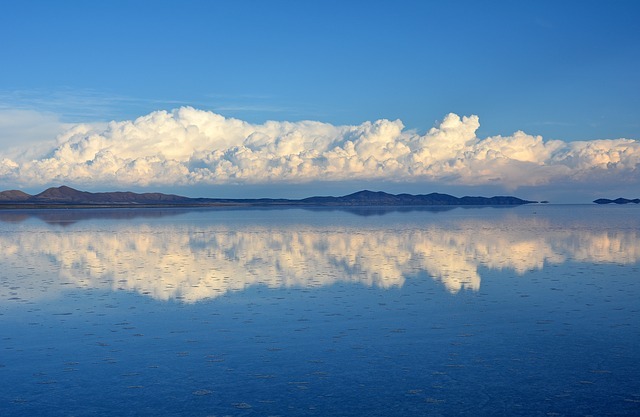 Tourism has been a major contributor to the local economy, and even protected the Bolivia against Lithium mining. But the impacts haven’t been all good. The number of visitors from the Uyuni departure point have far surpassed local infrastructure in recent years, and the city suffers from unmanaged waste. While few studies have been conducted on the ecological impacts of mass tourism, it’s impossible to imagine that hundreds of 4x4s have no impact on the ecosystem. With more tourists feeding wildlife and treading on the plants and soil surrounding popular attractions, a change is inevitable. From a human standpoint, increased competition has invited in big name travel companies. The prices of tours are WAY down, and margins for local operators have fallen with it. The experience can still be incredible if you’re mindful about how you visit. Consider departing from Tupiza rather than Uyuni to support a different community. 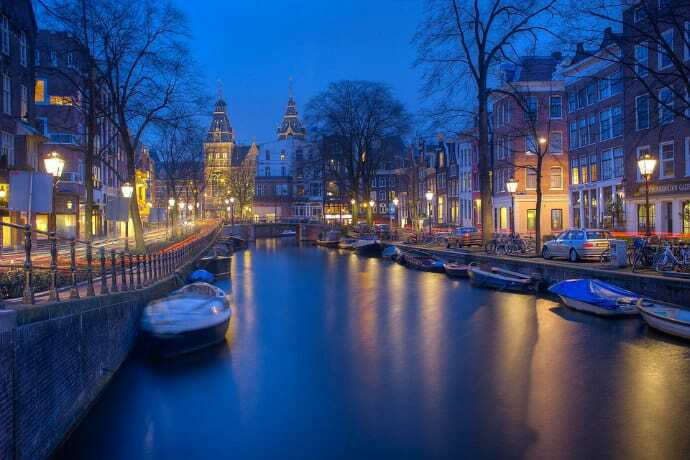 Amsterdam is known all around the world as one of Europe’s most lovely cities. However in recent years the combination of drug-focused tourism and cheap budget flights have turned the city’s Centre district into a crowded mass tourism playground. It finally reached a point in 2017 where overtourism was so bad, the government banned new tourist-oriented shops from opening in the Centre. They also started regulating Airbnb much more strictly, as the housing crisis in Amsterdam reached full bloom. The rise in tourism has also made it very difficult for local residents in the Centre to find shops to do their errands in. If you’re looking to contribute to a more sustainable future for Amsterdam, please consider staying outside of the Centre and NOT using an Airbnb. Barcelona has a lot to offer, including stunning Gaudi architecture, a rich tapas and wine culture, and (thanks to the 1992 Olympics) a two-mile stretch of beautiful beach. 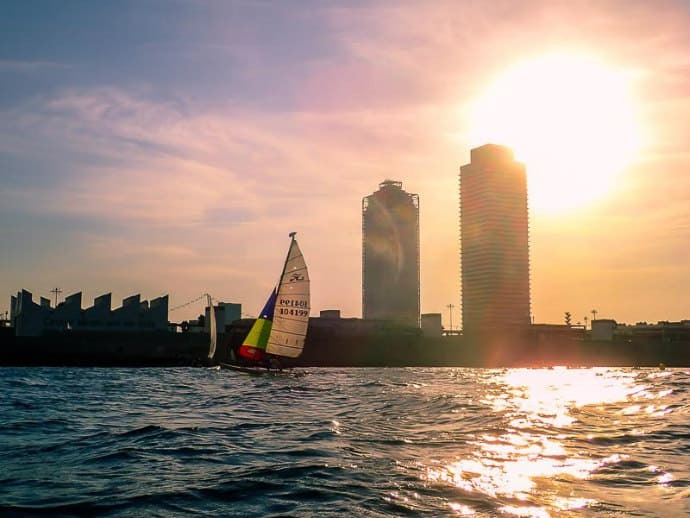 The same Olympics that improved local quality of life by installing a municipal sailing center and public housing also put Barcelona on the map for international tourism, which grew to an unsustainable 32 million visitors in 2016. A large number of these visitors are day-trippers, coming into the city on cruise ships carrying up to 5,000 passengers, all of whom descend on the nearby old town en masse. Barceloneta, once a quaint fisherman’s quarter, has become overcrowded. AirBnB is forcing out locals, as renting out apartments to tourists is much more lucrative for owners than having long-term tenants. According to real estate portal Idealista, renewal contracts on apartments in 2016 saw an average price hike of over 20%. Local shops around the Ramblas– some of them over 100 years old– are similarly being replaced by souvenir shops that can afford the rising rental prices for businesses. This gentrification is killing the area’s authenticity. Up until I was 16 years old, I spent my summer holidays in a small seaside village in Liguria. 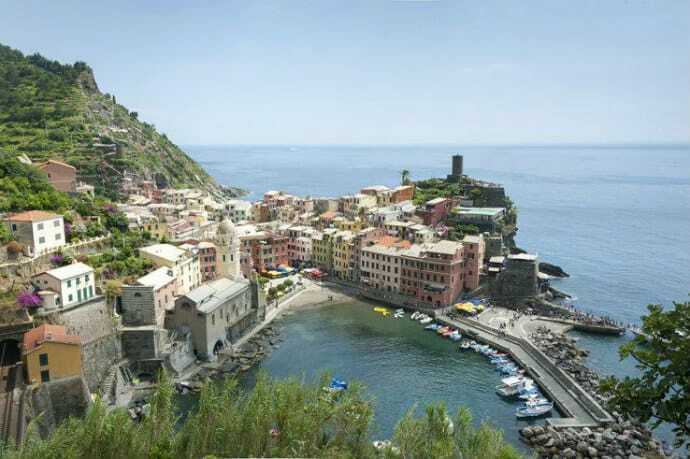 Some of my grandma’s relatives lived near Cinque Terre, and we visited the area several times. The five candy-colored villages were a popular day-trip destination, even in the 1980s. It was always hard to park, and the small beaches were packed, but no more so than elsewhere in the region. In 2014 I returned to Cinque Terre after 15 years away, and I was shocked by what I saw. The quaint villages of my childhood were literally overrun with tourists. The narrow, historic centre streets were a shuffling mass of bodies, litter was everywhere, and people treated local homes as if they were museums, walking in and posing for pictures. A friend of mine from Vernazza (one of the five villages) told me that all these tourists are putting a terrible strain on the area. First of all, these “bucket list” tourists spend little or no money– maybe a couple of euros for water and a focaccia. Tons of rubbish need to be removed daily, and locals are unable to enjoy their villages due to the multitudes of rude, rowdy people crowding them all summer. The Pearl of the Adriatic has been a popular tourist destination since the days when it was part of Yugoslavia. As if the appeal of the citrus-colored Old Town nestled atop the turquoise sea wasn’t enough, Dubrovnik also has a fascinating, tumultuous history that is very much still rooted in its local culture. I’ve been lucky to call Dubrovnik home over the past three years. During this time, I’ve watched Game of Thrones and the cruise ship industry turn this small town into one of the trendiest destinations in Europe. There’s no doubt this tourism boom has significantly boosted the local economy. But unfortunately the sea of mass tourism is pushing Dubrovnik far beyond its carrying capacity. Just 40,000 people live in Dubrovnik, yet over 2 million people visit during the high season each summer. The Old Town is flooded with hot bodies and selfie sticks. Cars honk at each other in bumper-to-bumper traffic. The buses are packed with tourists and a few locals (if they’re lucky enough to get on first). 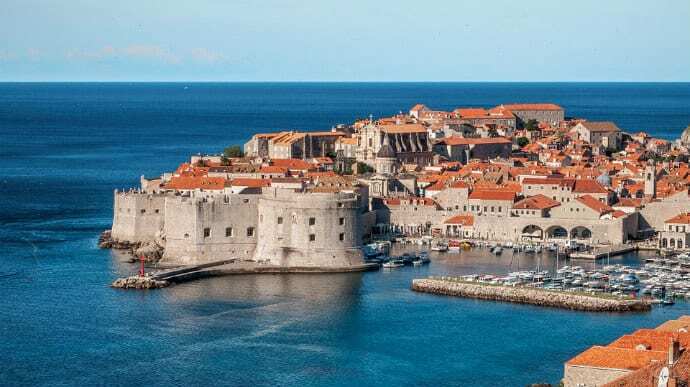 Residents reclaim Dubrovnik in the winter months. The town celebrates local pride with holidays like St. Blaise Day and Badnjak, which are filled with dancing, eating, and singing traditional Croatian songs. This is when the city’s culture truly shines. Efforts are currently underway to extend the tourist season beyond the summer and limit cruise ships. But living expenses are still increasing due to tourism, and many locals are struggling. When I spent time volunteering in the environmental field back in 2012, little did I know that one of the most striking destinations I had ever visited would soon become a victim of mass tourism. Who knows if its popularity was caused by Game of Thrones, Star Wars, or the endless Instagram postings featuring Iceland? Or maybe it’s because budget travel companies such as Wow Air sell low-cost flights from many European destinations. Regardless, the harsh reality is that tourists arrive to find hotels and car rentals are expensive and in increasingly short supply during the high season (from June to August). In June 2016, the situation was so chaotic that the government planned to restrict Airbnb rentals. Other measures to reduce the number of visitors are planned to be implemented soon. So if you have Iceland on your bucket list, try to visit during the shoulder seasons (Spring or Fall) instead of Summer. Travelers and locals alike will benefit. The Isle of Skye in northwest Scotland boasts numerous natural landmarks. 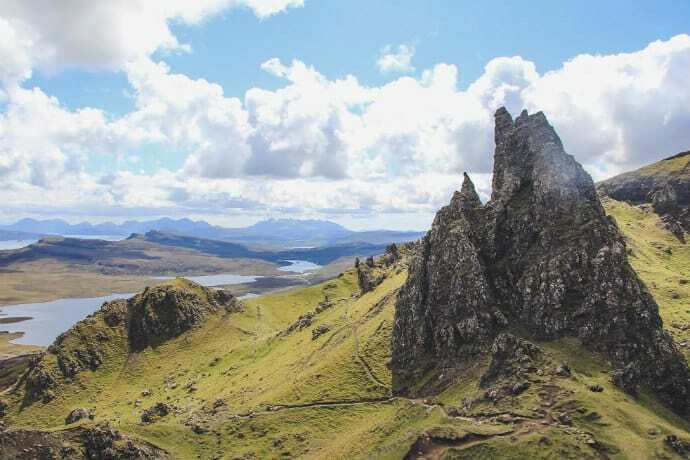 There’s the Old Man of Storr and the Quiraing range, the bizarre basalt formation Kilt Rock, Neist Point lighthouse, the Cuillin mountains, and of course the magical Fairy Pools. The problem is that word on Skye’s stellar beauty has spread, making it one of Scotland’s most over-popular holiday destinations. While this brings invaluable income to local businesses, it’s proven problematic in terms of infrastructure and environmental impact. Stories of cars spilling out of the limited parking lots onto the road and blocking locals’ daily commutes are overshadowed by even worse stories about inappropriate behavior by some tourists due to a lack of public toilet facilities. Accommodations are seriously limited, which has caused the police to limit island visits to those with reservations only. Responsible tourism to Skye is still possible. Allow yourself to go off the beaten path and support local businesses who give back to the community and act for the environment. Treat the island as if it was your home. If we compare Lisbon to other European cities, I believe there’s still a chance to save the Portuguese capital from overtourism. 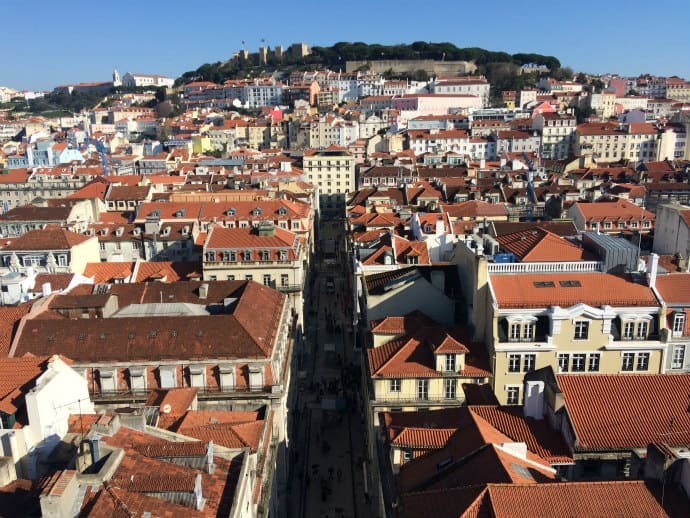 Tourism in Lisbon is a great product: We have great weather and food, killer sunsets, a diverse culture and heritage, and a young population who speaks at least one foreign language fluently. Tourism was the only industry bringing in a decent income when everything else seemed to be crashing under the economic recession. In fact, we now have tourists visiting all year round– there’s hardly a low season or shoulder season. The housing crisis has been the biggest issue facing Lisbon. Locals can’t find affordable houses in the center of the city because landlords can make more money by listing their apartments on short-term rental websites (and paying less taxes). Not to mention the historic buildings being refurbished by foreign investment companies into luxury condos and more short-term rental units. It’s a vicious cycle: Old-age tenants die or get evicted, the owner sells to the highest bidder, and the house becomes a short-term rental. There’s little that’s typical about Alfama or Mouraria these days. The old quarters are being stripped of their cultural identity. Travel is a good thing, for the most part. Most destinations rely on the economic gains from this $7 trillion a year industry, and there are countless benefits to travelers themselves. But when tourism grows at an unsustainable, it can be damaging both to locals and their environment. Prague is a perfect example. For me, Prague was once a fairytale bucket list destination. But now that over tourism has clouded the experience, it no longer seems like such a magical place. The city is crowded no matter what time year you visit, with people and vendors elbow to elbow on the Charles Bridge. New developments are often under construction, which detracts from the city’s beauty. 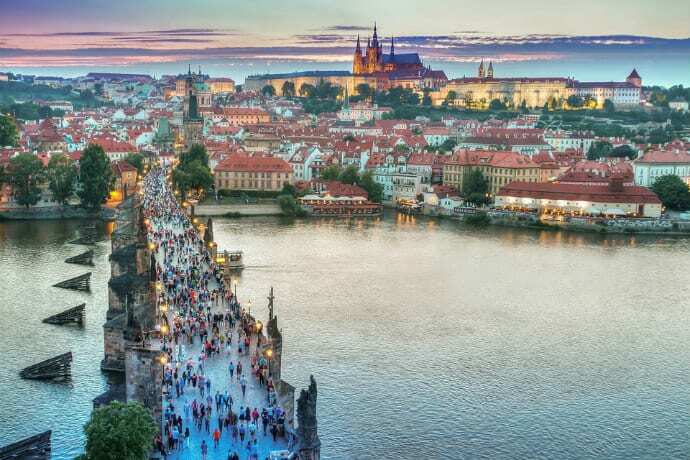 Prague has also become more expensive, both for tourists and locals alike. 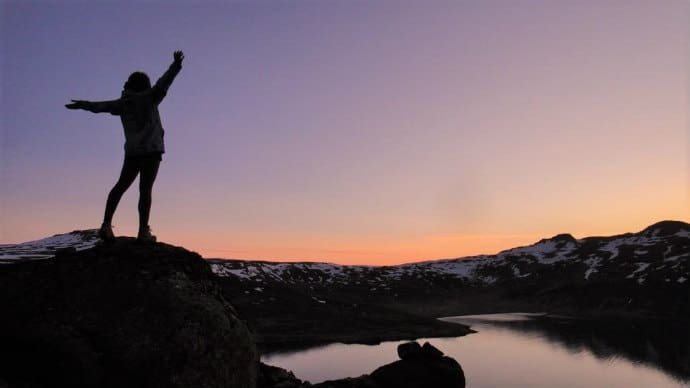 To avoid huge crowds, become a morning person to beat the crowds. Connect with locals via Facebook groups or Couchsurfing, and explore with expats or locals who know the best places to visit. Not all that long ago, Santorini was a small, rocky, relatively unknown Greek Island. 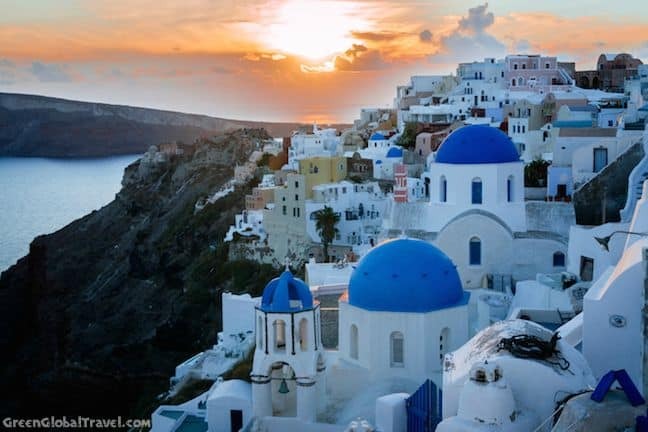 But it has risen in recent years to become one of the most iconic places to visit in Greece due largely to its whitewashed villages, blue-domed churches, and incredible sunsets. But many of the locals who once lived in this Mediterranean paradise have been driven out due to rising property costs. The price for Greeks to ferry to work from neighboring islands is prohibitively high. The locals who are left are invaded by disrespectful visitors who often destroy their property while trying to get the perfect selfie. And when it comes to the environment, the island’s main roads are littered with trash left by indifferent tourists. Avoiding the Santorini crowds completely is almost impossible, especially if you hope to view the sunset in iconic spots like Oia. 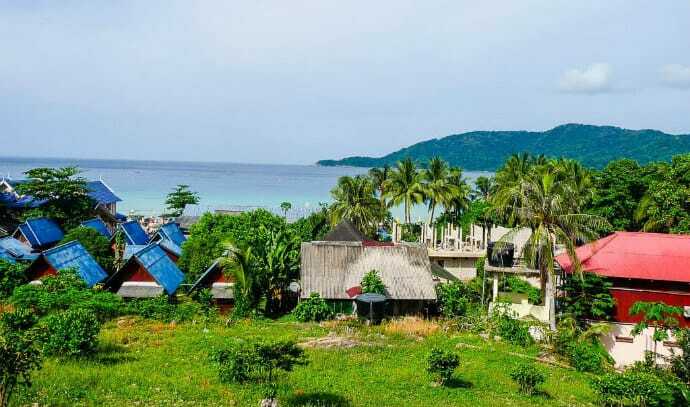 However, the island’s east-facing side affords equally beautiful views, and the gorgeous resorts there are more affordable and just as luxurious. Take some time on the south side of the island for wine tasting and wandering through villages. Also consider going to Santorini in the off-season, when it’s cheaper and less crowded. There is a certain aura of magic and mystery about Venice. 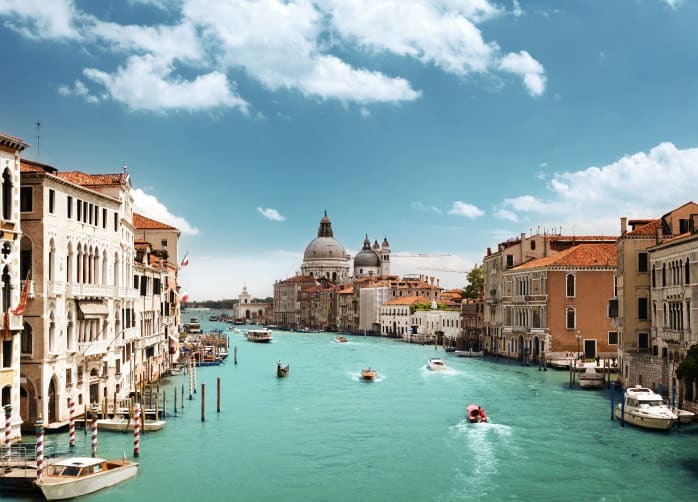 For decades, visitors have been unable to resist the allure of the city’s romantic canals, singing gondoliers, picturesque bridges and grand architecture. The “City of Bridges” tops the ‘must visit cities in Europe’ lists year after year but for how much longer? 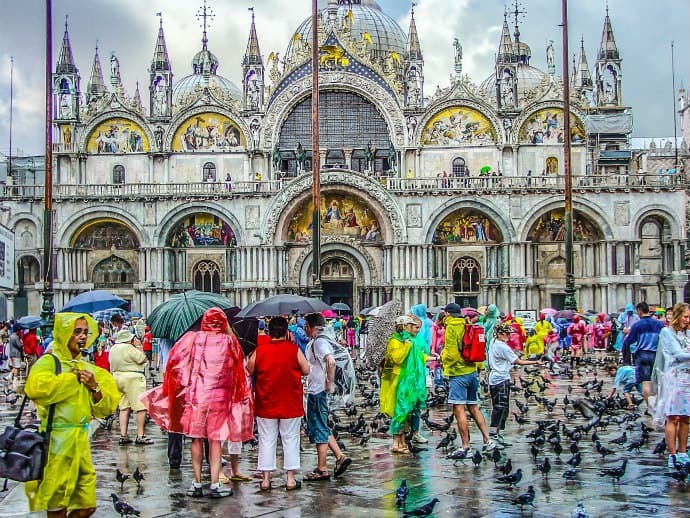 Aside from its risk of sinking and its threat from flooding, Venice is a city under populated and over-crowded. Mass tourism attributed to the mega-cruise ships is causing irreversible damage not only to the fragile lagoon ecosystem but the city itself. A city that only in-habits under 55,000 residents yet welcomes over 30 million visitors a year. Venice and its Lagoon have long been listed as a UNESCO World Heritage Site. 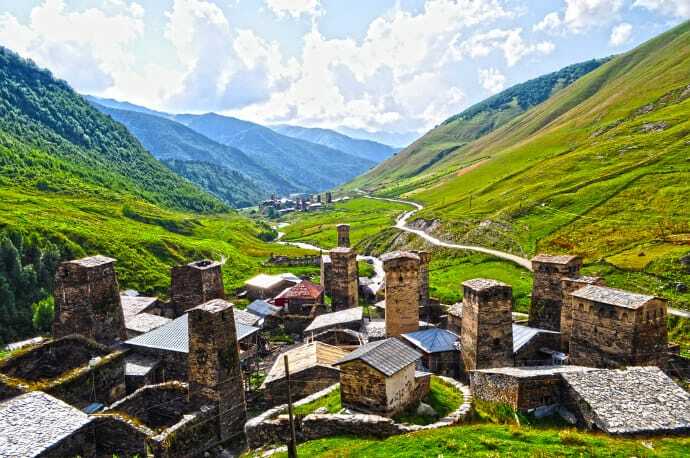 But due to mass-tourism, not only does it risk losing its status, it faces entering the “Endangered” list, a list normally reserved for ruins and sites damaged by war. Vandalism, crime, destruction of some historical sites and tourist stupidity has already caused tension between residents and visitors. To add to its woes, cruise ship visitors lack of overnight stays means city tax (that benefits the city) is not being paid, local businesses in the same “tourist” areas are strained and local necessity shops have been closed to only be replaced with souvenir stalls, further pushing locals out of their own city. Most people wouldn’t think of mass tourism when considering Alaska, the wildest state in the USA. But having been there before the Alaska Highway was paved all the way through in 1992, I can see a major difference. 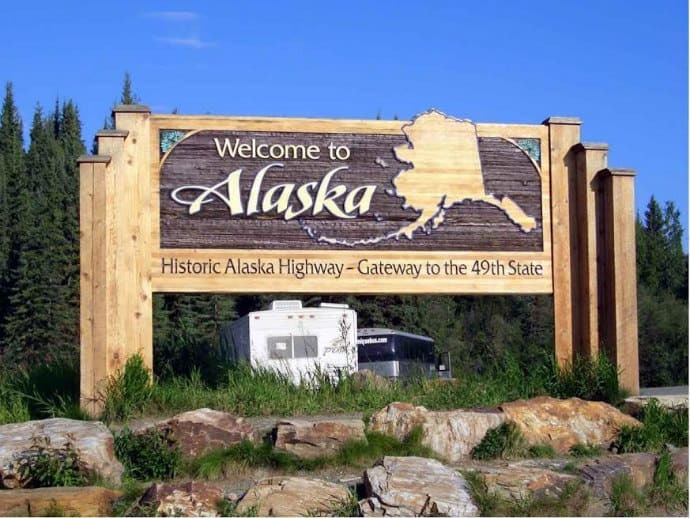 Before the opening of the highway, Alaska was a great adventure. You were lucky if you could get through the state without getting stuck in the mud somewhere. Now you can just cruise through, perhaps seeing the odd construction site along the way where last winter’s potholes are being repaired. Denali National Park has been especially impacted by tourism development. Before 1992 there were only a few lodges and cabins along the Nenana River, and a campground with very basic facilities. Today you’ll find luxury resorts, a Good Sam Park, and a boardwalk mall with fast food and ice cream joints. You have to wait in a line of jostling tourists to enter the park on one of the park’s buses. Photo stops along the park road are precisely timed, and the feeling of being out in the wilderness is lost in the process. I grew up in a small town near Banff, one of the most frequently visited destinations in Canada. 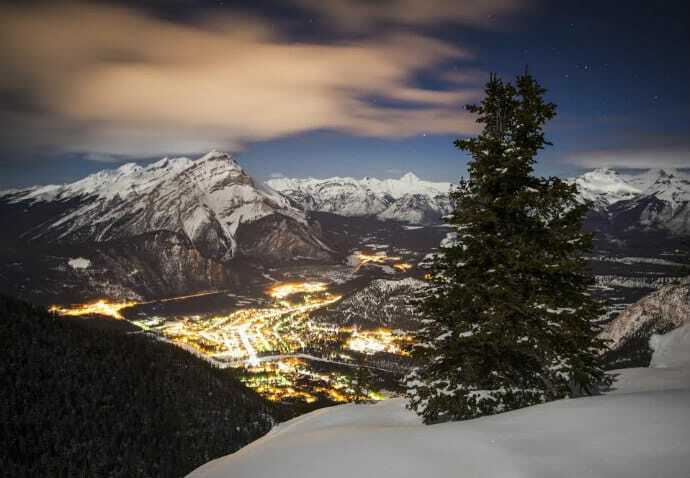 Located in the Canadian Rockies, it’s home to several of Canada’s most famous ski resorts. Tourism there created a unique set of social problems caused primarily by the fact that, as a town located inside a National Park, Banff had strict boundaries. Therefore it wasn’t able to expand beyond the 4.9 square kilometers allotted to it. The extreme popularity of the destination and the limits on expansion means that the town’s limited real estate is extremely expensive and almost entirely devoted to high-end tourism. Nearly everyone who lived there worked in the service industry (as I did). So they couldn’t afford the few apartments available, and were forced to live in small, dingy dormitories provided by their employers. Seasonal hiring/firing made for high turnover, which created a transient community locals were reticent to embrace. The result was a very strange society of short-term locals and a nearly ubiquitous binge-drinking party culture. Think of a college town where all the students have enough money to get drunk every night and can leave any time they want. Manhattan is the most-visited part of NYC, the USA’s top port of entry, top generator of tourism revenue, and top big-city destination. Tens of millions of people visit every year – a fact that’s regularly emphasized by marketing org NYC & Company. But how many millions are too many, even in a megacity? Parts of Manhattan have hit their carrying capacity– the point beyond which bigger tourism numbers just aren’t better. 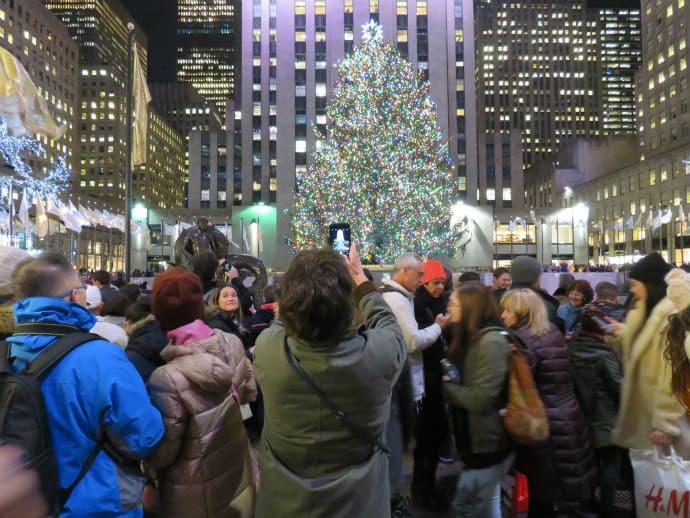 As a native New Yorker, I studiously avoid places like Times Square and Rockefeller Center during heavy travel periods. They’re not pleasant to visit for anyone, whether tourists or locals. But Manhattan’s problems run deeper. There are vital questions about the degree to which the money tourists spend in Manhattan adds to the local economy. The gross value may tell one tale, but when factoring in economic leakage (money benefiting businesses based elsewhere), the hard and soft costs of managing tourism, and the relatively shallow spread of benefits, the economic yield might not make as much economic sense. Fortunately, NYC is considering alternative tourism strategies. The new “True York City” campaign encourages visitors to explore and engage more deeply with the area. Maui has topped “Best Island in the World” ratings for years. It’s no surprise, considering its perfect weather, perfect beaches, and perfectly picturesque views. But all this perfection comes at a cost, which is the degradation of my once-perfect vacation destination. At just 727 square miles, Maui is a small island, yet it sees around 3 million tourists each year. Those visitors drive up local prices, crowd the more popular areas, and make it harder and harder to relax in the land of aloha. They also have an affect of the local environment, with several endemic species needing additional protection. One especially egregious example of the effects of overtourism on Maui is Molokini. 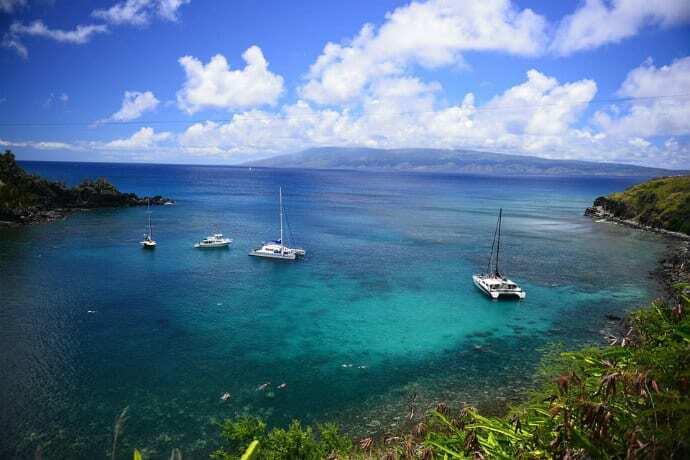 This tiny, fingernail-shaped atoll just off the coast of Maui is a popular spot for snorkeling. When I first booked a half-day snorkel trip in the early 2000s, it was fantastic. But when I returned in 2010, there were so many packed catamarans that the snorkeling area was full of swimmers. It’s not much fun to be constantly on the lookout to avoid getting kicked in the face, and it’s likely even less fun for the fish that live there. Or did. 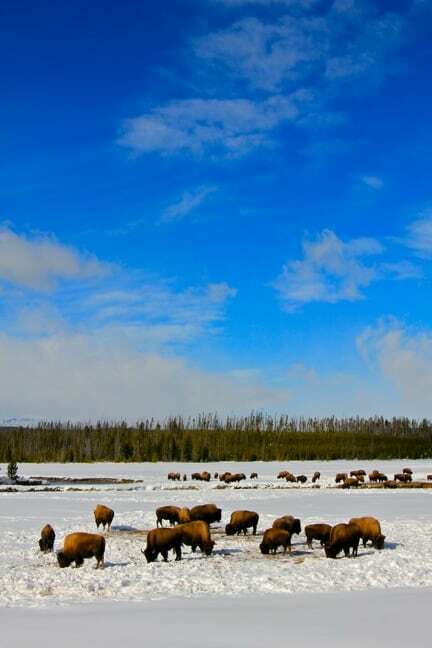 Located in the northwestern corner of Wyoming, Yellowstone National Park is the gem that started the United States’ National Park system. In the last 10 years, tourism has increased by 40%, with over 4.2 million visiting the park in 2016. This dramatic increase has caused numerous issues. The first is visitors walking off marked trails, causing environmental damage by killing the vegetation (which leads to erosion issues). The second problem is with visitors who throw items such as coins and food into the geothermal features, which harm the geothermal algae. Some visitors even walk in the geothermal features, which can lead to death. Another big issue is human/wildlife encounters. Yellowstone’s animals are learning bad habits that make them think people are food sources. Bears can become aggressive and dangerous when fed. Poorly informed visitors will involve themselves in an “animal rescue” rather than letting nature take its course (see: the couple who put a baby Bison in the back of their car). From Playa del Carmen to Cancun, the uncontrolled surge of tourism to the Yucatan Peninsula has turned much of the region into one massive all-inclusive resort. What once was a series of pristine jungle and marine ecosystems is gradually being destroyed by chaotic urbanization. Nearly 10 million visitors a year descend upon Quintana Roo (the Mexican state which includes the Yucatan coast), and their piña coladas and suntan lotion are suffocating the ecosystems with plastic bottles and organic waste. Most locals don’t profit from this rapid rise of tourism revenue: All-inclusive resorts rarely hire indigenous natives, and these resorts rarely give back to the community. Once a quiet fishing village, Playa Del Carmen has lost all local appeal. It’s become a throbbing beach town dominated by a tourist strip filled with splashy resorts, booming nightclubs, and drugs. Violence and theft has surged in the surrounding communities while police are occupied with patrolling the tourist areas. If you do head to Playa del Carmen or Cancun, don’t stay at an all-inclusive. Understand that unchecked tourism has had a negative impact, and let that guide your spending. Dine at local restaurants. 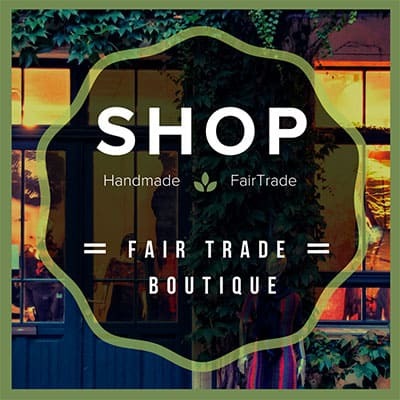 Shop at locally-owned businesses. Chat to local people. READ MORE: Riviera Maya: Tulum, Coba Mayan Ruins, Monkeys & More!